Dec 06, 2016 (LBO) – Ceylinco Life has reported total income of 17.165 billion rupees for the nine months ending 30th September 2016, reflecting growth of 15.3 per cent over the corresponding period of last year. Premium income for the nine months improved by 11 per cent to 11 billion rupees, while investment and other income grew by 23.6 per cent to 6.16 billion rupees in the review period, the company said. The company’s investment portfolio grew by a noteworthy 13.24 billion rupees or 19.7 per cent over the nine months to pass the 80 billion rupee mark at the end of the third quarter of 2016, manifesting Ceylinco Life’s prudent investment strategies, a statement said. The company’s investment portfolio as at 30th September 2016 comprised of Government Securities (57 per cent); Licensed Private Banks (10 per cent); State Banks (2 per cent); Real Estate (7 per cent); Corporate Debt (23 per cent) and Others (1 per cent). These investments are made in conformity with the investment guidelines stipulated under the Regulation of the Insurance Industry Act No 43 of 2000 and are subject to regular monitoring by the Insurance Board of Sri Lanka (IBSL), the company said. A transfer of Rs 6.7 billion in respect of the review period saw the company’s Life Fund grow to Rs 74.72 billion as at 30th September 2016, while total assets increased by Rs 14 billion or 17.6 per cent to Rs 94.37 billion. The shareholders fund grew by 16.87 per cent to Rs 10.5 billion in the nine months reviewed. 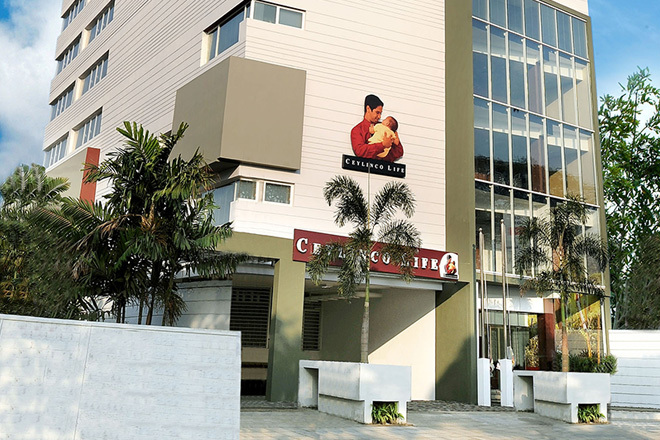 “We are pleased with our performance in the year to date because it represents the ability of the company to generate solid operational growth even in non-conducive market conditions,” Ceylinco Life Managing Director/CEO R. Renganathan said. Ceylinco Life paid Rs 4.93 billion in net claims and benefits during the nine months reviewed, an increase of 12.5 per cent over the corresponding period of 2015. The company’s comparative figures for 2015 include a period prior to the segregation of the business of Life Insurance as required by Section 53 of the Regulation of Insurance Industry (Amendment) Act No. 03 of 2011.Ceylinco Life commenced operations as a standalone life insurance business from 1st June 2015. Adjudged Sri Lanka’s Best Life Insurer in 2016 for the third consecutive year by World Finance, Ceylinco Life has close to a million lives covered by active policies.